Selzer Werderitsch Associates seeks to provide quality construction at a cost efficient price, along with excellent customer service as we build for the future. We are proud of our 50 plus year history and excel in providing quality construction services. Each of our associate members strives to provide excellent customer service throughout the project, and to assure our clients of their future plans and capabilities at the completion of the construction process. Our goal is to provide a complete project with the best experience possible to help our clients achieve their own goals. Ultimately, our success is measured by the successful achievements of our clients through the planning process implemented at the beginning of each project. Planning, and building for the future is an essential element in each project we are involved with. For the past half century, Selzer Werderitsch Associates has built a reputation for quality construction in industrial and commercial projects throughout our region. From office buildings to strip centers and large warehouses, we have demonstrated our expertise and commitment to excellence in every project we undertake. 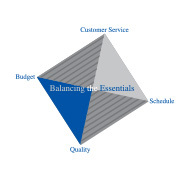 We continually strive to balance the essential components of a successful project in each decision made. Customer service focuses on the ability to provide a successfully completed project, and to be attentive to our clients’ needs during each step in the process. The project budget should be reasonable and fairly determined, with any changes faithfully explored and explained for a worthwhile decision to be acted upon. The project’s schedule should be reflective of the budget and time line requirements of the project, while also allowing for typical industry and regional events which could have an impact on the completion date. Quality is the foundation of every component of the project, from the integrity of the people involved, to the workmanship and installation of the individual parts used in the project. Over the years, we have expanded our core construction business to include specialty millwork and casework, building maintenance and project development. 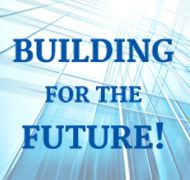 In all our work, we adhere to the beliefs expressed in our Mission Statement, continually striving to balance the essentials of quality, cost and time that define a premier construction company in today’s market. Our clients are constantly impressed by our high level of professionalism, unmatched experience and a “can do” attitude that allows our team to overcome obstacles and meet or exceed their expectations. Our work has been recognized with numerous awards with some of the most meaningful recognition coming from our peers in the industry. Our projects tell the story of a company dedicated to quality, committed to its clients and proud of its role in building for the future. We invite you to contact us to discuss your next project. We are confident you’ll be glad you did.